The Kentucky Oaks is held every year at Churchill Downs racetrack the Friday before the Kentucky Derby. It is 1 and 1/8 mile race that is held on dirt and is open to three year old fillies. The Oaks has a purse of $1,000,000 with $600,000 going to the winner. On top of this wad of cash the winner also receives a silver trophy and a large garland of lilies, which is affectionately called the “Lilies for the Fillies”. Bovada.lv is our recommended online sportsbook for Americans looking to bet on the Kentucky Oaks. Bovada is a great place to bet on every horse race in the United States and they take bets on every significant race at Churchill Downs throughout the year. Bovada is a trustworthy sportsbook and has a good reputation due to its parent company, Bodog, having been one of the top sportsbooks online over the past decade. Bovada gives horse racing bettors between 3-5% rebates on every wager placed at the Bovada racebook, plus a free bet equal to 20% of your first deposit up to $100. Check out our full Bovada racebook review for more information. If you live outside of the USA then I suggest betting through Bodog.eu. They also offer 3-5% rebates on horse racing wagers and a 10% matching bonus with no maximum on your first deposit. The racebook layout is exactly the same as Bovada’s, which is very easy to navigate. Open a Betting Account – Visit Bovada.lv (or Bodog.eu if you are from outside of the USA) and open a new sports betting account. Fund Your Account – Log in to your new account and make a deposit from one of the many deposit methods available at the sportsbook. Place Your Bet – You are now ready to bet. Click on the ‘Horses’ tab at the top of the site to go to the racebook. Next you should click ‘Churchill Downs’ from the left sidebar and click on the post time for the Kentucky Oaks race. This will bring up all of the horses you can bet on and the wagers you can make. Go ahead and place your bets then enjoy the race. The Kentucky Oaks was first run on May 19th, 1875 at Churchill Downs, which was then named the Louisville Jockey Club. Along with the Kentucky Derby, the Kentucky Oaks is the oldest continuously contested sporting event in history and the oldest race to be held at its original location since its inauguration. The race is the third most attended horse race in the United States after only the Kentucky Derby and Preakness Stakes. It is the first of the three filly races that launch each of the Triple Crown horse races along with the Black-Eyed Susan Stakes, which is held at Pimlico Race Course the same weekend as the Preakness and the Acorn Stakes which is held at Belmont Park the same weekend as the Belmont Stakes. The record for the Oaks is 1:48.64, set by Bird Town in 2003. The longest winning margin was set by Rachel Alexandra in 2009 when she won by 20.25 lengths! 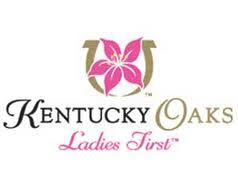 To learn more about Kentucky Oaks history check out the Wikipedia page.